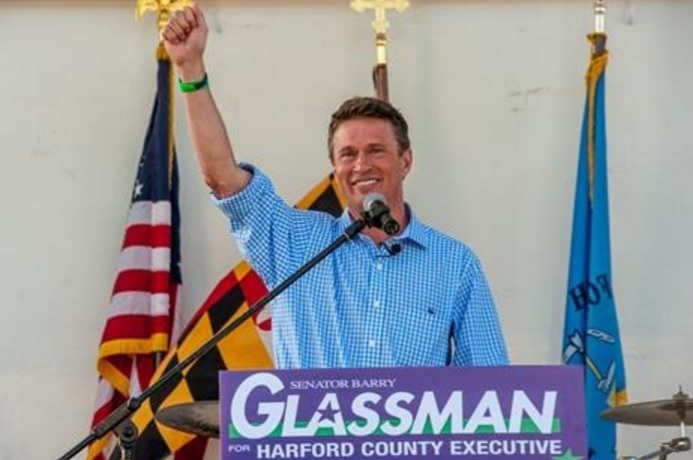 Harford County Executive Barry Glassman, just a year into his new post, is exploring a run for U.S. Senate, at the urging of campaign advisors, he said. Glassman, a Republican, authorized a poll by his campaign that shows him relatively popular in the Baltimore region and able to beat the other candidates in the Republican primary for U.S. Senate. That includes Del. Kathy Szeliga who represents part of Harford County and formally announced her candidacy Tuesday. Political advisors asked that he take a poll, and “I agreed to let them go ahead with it. We have not met to go over the poll yet.” But “the numbers were really good.” Glassman, 53, served nine years in the House of Delegates and almost seven years in the Senate. He easily won election as Harford County executive with 75% of the vote. Released exclusively to MarylandReporter.com, the poll by Gonzales Research and Marketing Strategies was taken in late October, interviewing 302 likely Republican voters by telephone, both land lines and cell phones. The poll found 41% of Republicans in the Baltimore region had a favorable view of Glassman, but over 70% of Republicans in the rest of the state don’t even recognize him. In Harford County, 83% of a very small sample view him favorably, and 96% approve of the job he’s doing as executive. More than four out of five Republican voters don’t recognize the other candidates. In an election match up with the other major GOP candidates for Senate, Glassman leads with 19%, Szeliga gets 11%, Richard Douglas, a former Capitol Hill staffer who ran for Senate in 2012, gets 5%, and attorney Chris Kefalas gets 2%. With such a small sample, the margin of error is plus or minus 5.75%. The poll also asked whether these Republican voters “support or oppose the Common Core approach to public education in Maryland.” The poll found 69% opposed, with 55% strongly opposed, 19% supportive, and 12% with no response. “I don’t think we have a problem winning the primary,” Glassman said. An advisor to Szeliga expressed confidence that she could beat Glassman in the primary. “I think the citizens are looking out there for someone who can work with different parties,” said Glassman, who had many Democratic friends in the legislature. But he recognizes that winning the Senate seat being given up by Democrat Barbara Mikulski would be tough for any Republican. The release of selective numbers from an internal campaign poll is common, but the release of a complete poll, including demographic breakdowns, is unusual. Pollster Patrick Gonzales, with 30 years in the polling business, said he advised against it, but did so at the request of the Glassman campaign. “It’s always tough for a Republican in Maryland,” the pollster said. “To have a Republican win, you’ve got to have disaffection with the Democrats,” as there was with Martin O’Malley and Anthony Brown, who lost to Gov. Larry Hogan. “Is there a sufficient disaffection with the Democratic Party” in Maryland? Gonzales asked. They are equal on the November ballot, but the three candidates for U.S. Senate sat together on the same stage for the first and possibly last time Saturday at a forum in Columbia sponsored by an African American coalition. 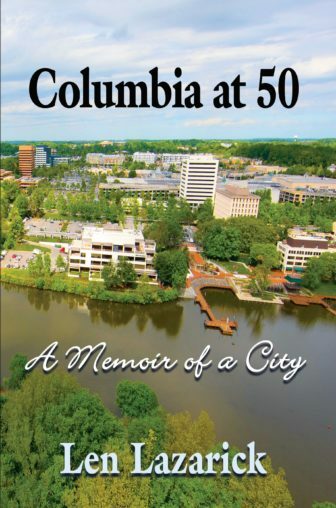 Dr. Margaret Flowers, a physician representing the Green Party, appeared with Republican nominee Kathy Szeliga, the House of Delegates minority whip, and Rep. Chris Van Hollen, the Democratic nominee to replace retiring U.S. Sen. Barbara Mikulski.